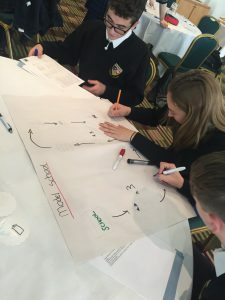 On Monday 22nd October, four TY students got the opportunity to attend a green school workshop on the topic of water. The students engaged with the second theme through interactive games, creating info graphics and talking to other schools. The students are now ready to begin planning for the second green school flag with the information they received. First mission is to set up a green schools committee. Best of luck!